Ocuvite PreserVision was the vitamin and mineral eye supplement used in the National Eye Institute Age-related Eye Disease Study (AREDS). The Age Related Eye Disease Study (AREDS) was a 10-year, independent study conducted by the National Eye Institute (NEI) of the National Institutes of Health. This major clinical trial began in September 1990 and the first results were published in a press release in 2001. The study included over 4,700 participants between the ages of 55 and 80 years with ranges of no evidence of age related macular degeneration (AMD) in either eye to relatively severe disease with vision loss in one eye but good vision in the fellow eye (20/30 or better). 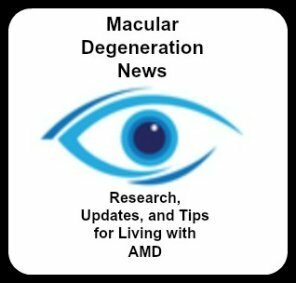 The results stated that the AREDS "found that taking high levels of antioxidants and zinc can reduce the risk of developing advanced age-related macular degeneration (AMD) by about 25 percent." 4) a placebo, a harmless substance that has no medical effect. (Copper was added to the AREDS formulations containing zinc to prevent copper deficiency, which may be associated with high levels of zinc supplementation). Bausch and Lomb PreserVision soft gels are based on the AREDS formula, proven clinically effective in the Age-Related Eye Disease Study (AREDS). The recommended dose is 2 soft gels - 1 in the morning, 1 in the evening taken with meals. It is the number one recommended eye vitamin and mineral supplement brand among vitreoretinal eye doctors. Ocuvite Lutein are eye supplements that provide a significant amount of Lutein (6 mg) in a single capsule. It also provides 100% of the US Daily Values for the antioxidant vitamins C, E, as well as zinc and copper. Lutein and zeaxanthin are the two carotenoids found in the macular pigment - a layer of tissue that protects the macula. These carotenoids protect the macula from the harmful effects of blue light, a harmful component of sunlight and ultra violet light.